Disclosure: I was sent these products in exchange for an honest review. All opinions are my own. The lunar new year begins on Friday this year. Many countries celebrate the lunar new year but in America it is often referred to as the Chinese New Year. 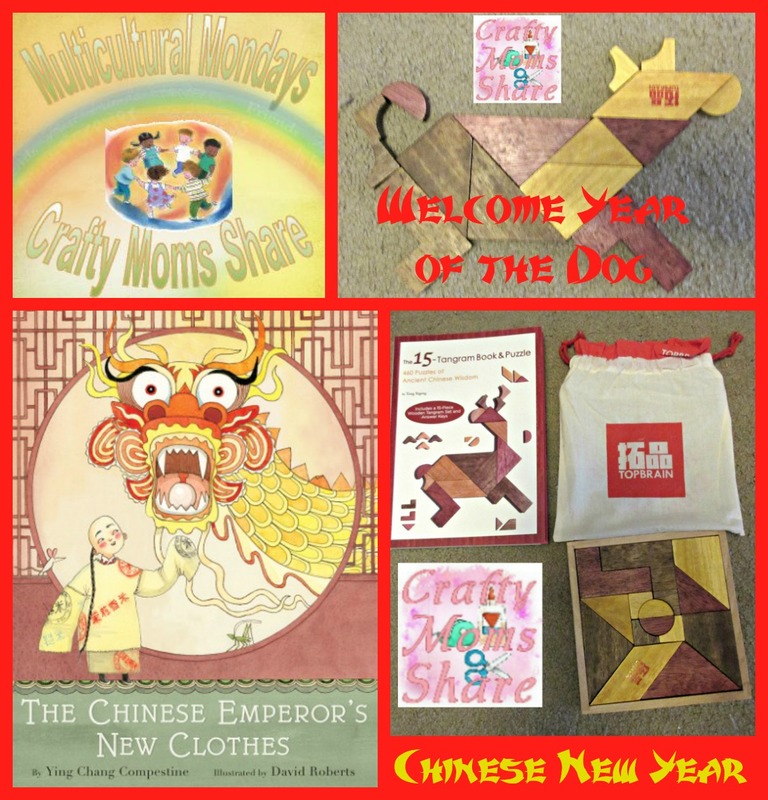 We already shared a few resources for the year of the dog (this new year), but I wanted to share a few more with you. 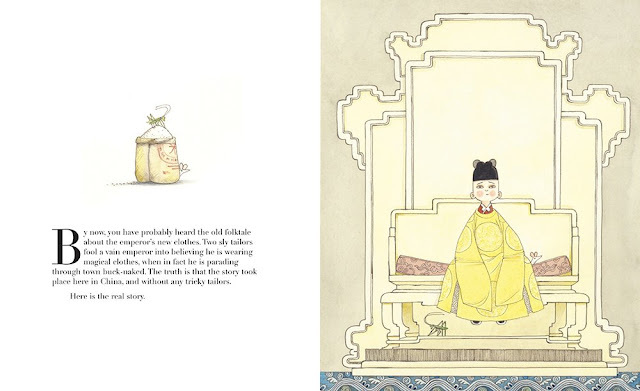 The first is a book that gives a new version of the old fairy tale, The Emperor's New Clothes. 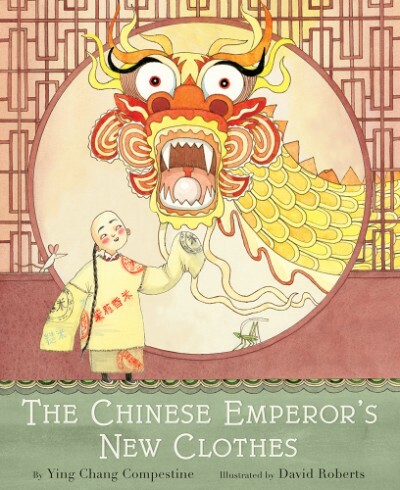 The book is The Chinese Emperor's New Clothes by Ying Chang Compestine and illustrated by David Roberts. Pulling from her own experience of growing up during the Chinese Cultural Revolution (1966-1976), Ying reinvents the classic tale. In this tale the emperor is a child and his advisors take advantage and steal the jewels, food, silk and more. However the royal tailors come to make the emperor new clothes for the new year's parade. The emperor shares an idea with the tailors to get back his riches so he can take care of his people by tricking them into new magical clothes. In fact the clothes are made out of burlap sacks, but when the advisors hear that only honest people will see their true splendor and dishonest people will see burlap sacks, they fall for it and want their own magical clothes. They also want to one up each other and bring back the jewels, silk and food so the tailors can make their own clothes the best. During the parade a young child says something about the burlap sacks and the advisors realize they have been had. I love this new take on the story. First they are not parading around naked and second it is not the emperor but his advisors who are vain and dishonest. The emperor also wants to help his people--feed them and provide for them. I love it. At the end of the book there is an author's note that explains a bit about the ancient emperors of China as well as Ying's own experiences growing up and how the story came to be. It gives a wonderful look at the Chinese culture. Then there is also a craft to make your own Chinese New Year Robe from a t-shirt. We did not do this, but love the idea. I hope you will check out this fun book! 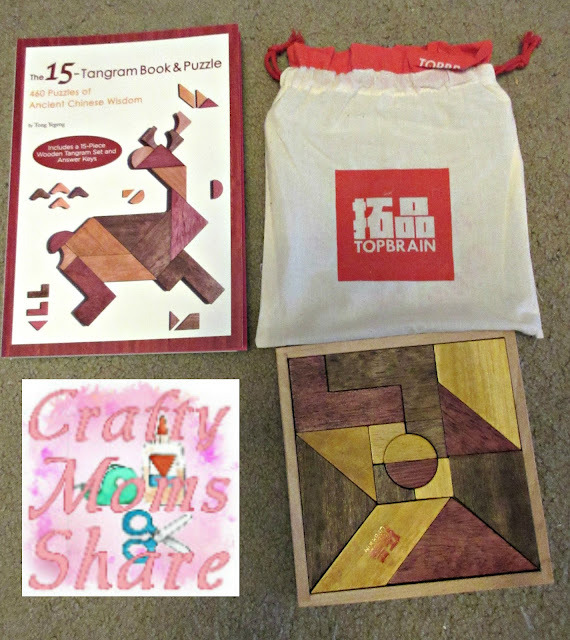 Our next item is The 15-Tangram Book and Puzzle by Tong Yegeng. 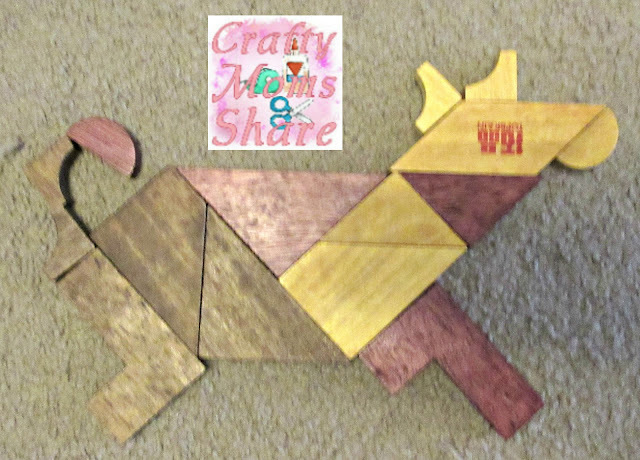 The tangram is an ancient Chinese puzzle. I love that it involves so much spatial thinking. This book comes with a beautiful 15 piece wooden tangram puzzle and canvas bag to keep it in. 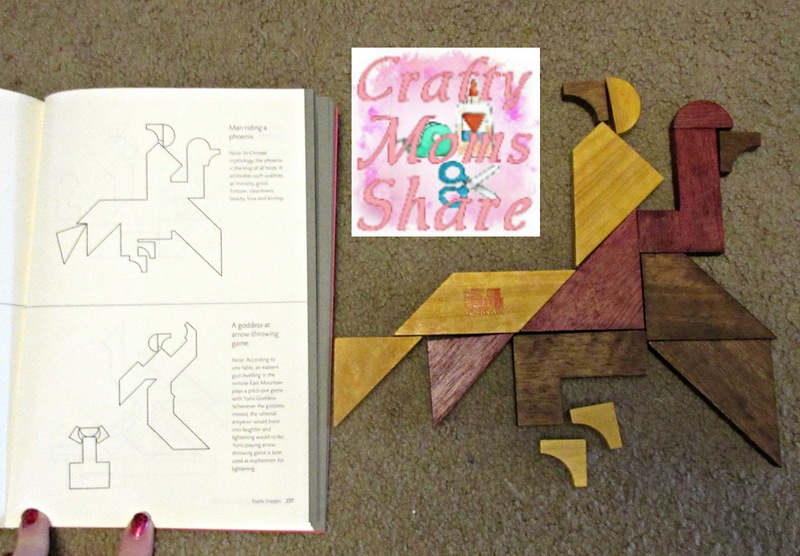 The book provides a wonderful introduction which includes some history of the tangram. Then there are the shapes to make with the puzzle pieces. There are sections starting with Basic Puzzles and then the answers to the basic puzzles. Some basic puzzles include this hollow octagon. 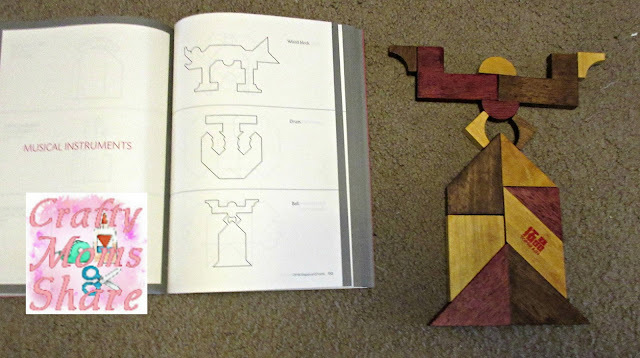 You can see the picture on the top of the page of the book and you have to use all 15 pieces to make the shape. Another basic puzzle is the windmill. 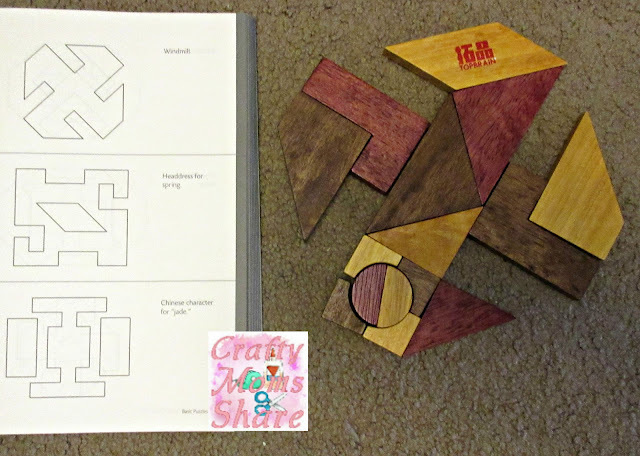 Again you can see the picture in the book and then the pieces have to be arranged to form this shape. After the basic puzzles and their answers there are Plant and Animal Puzzles, Of All Shapes and Forms and Poetic Images and then the answers to all of those puzzles. There is a dog as well as the other animals of the Chinese Zodiac. I also tried the bell from the musical instruments. Plus the man riding the phoenix. I love how some of the puzzles tell about the Chinese culture!! There is so much in this book and puzzle. 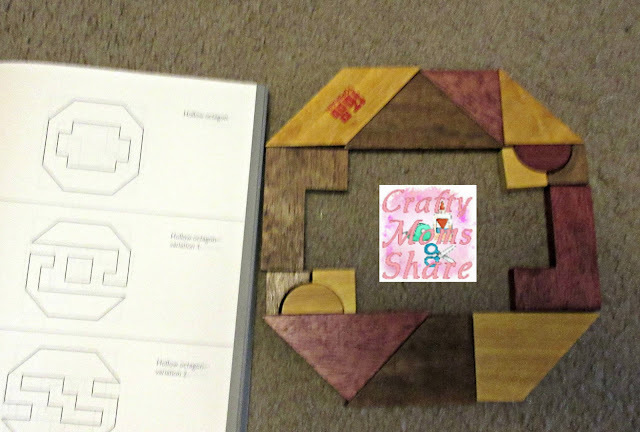 Plus of course kids can make their own designs and not go with the book. 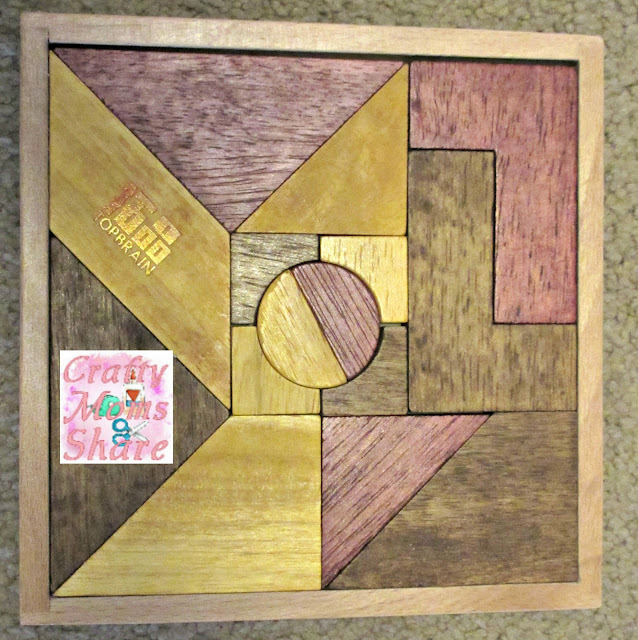 Then the challenge is to get the pieces to fit back into their square tray! Hope you will explore a bit of the Chinese culture as well as the other countries that celebrate the lunar new year!